Columbus continues its commitment with the latest release of ColumbusFood ERP, its next generation business application for the food industry. 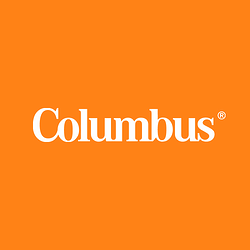 Minneapolis, MN ­­– March 18, 2019: Columbus, an IT service and consultancy with more than 2,000 employees worldwide, today announced the release of its next-generation ERP for the food industry, ColumbusFood. ColumbusFood brings a healthy solution, driving manufacturing and distribution excellence with intelligent business applications, that makes it easier for food companies to manage their operations with an industry-specific solution. ColumbusFood, built with our customers and leveraging the Microsoft technology stack, provides end-to-end capabilities from production and processing to quality control and everything in between. Unlike other standard ERP solutions, ColumbusFood is designed exclusively for food companies with industry features—such as nutritional analysis, batch scheduling, the creation of co- and by-products, and forward and backward lot tracing. Users can also extend the solution with business tools—including demand and production planning, analytics, and quality compliance controls. The solution’s intuitive planning tools assist users in creating the best alignment of demand, materials, supplies and production. By means of visual sequencing, users can set up batches for production on certain equipment, schedule packaging lines and add other tasks to help run their business at peak efficiency. “Process and food manufacturers continue to desire a modern solution that has industry-specific functionality with an edge to meet the needs of today and respond to future requirements—all in one unified solution,” says Sandy Williams, VP of ColumbusFood. “Our dedication to the process and food industry is at the heart of the ColumbusFood and we are excited to bring this next generation solution to the market. With our team of technology experts and experienced consultants, we are not only dedicated to providing a world class solution, but dedicated to providing process excellence, risk mitigation and digital strategy to transform the businesses we work with." ColumbusFood supports the digital enterprise with specialized capabilities that help food companies with operational control, production output and regulatory compliance — all while improving visibility of operations from sourcing to the end product. Columbus combines industry expertise, implementation best practices and the technical acumen to help food companies transform and run a modern business. ColumbusFood is now generally available. To learn more, visit: https://www.columbusglobal.com/en-us/. Columbus is an IT service and consultancy with more than 2,000 employees worldwide. We bring digital transformation into your business and position you to thrive in the future. We are experts in designing, implementing and maintaining digital business applications to help your business succeed in the digital age. With 29 years of experience serving more than 5,000 customers, we offer a comprehensive portfolio with deep industry knowledge and extensive technology experience to help modernize your business. Columbus has offices and partners all over the world and we can therefore deliver our solutions and services locally and on a global scale. Let us help you realize the full potential of your business. Derrick Carter is Marketing Director of Columbus North America. With strong revenue growth, successful integration of iStone and launch of the services and solution portfolio the “9 Doors to Digital Leadership®” Columbus continued the progress in 2018. Columbus, the global digital business services provider, today announced the successful deployment of Microsoft Dynamics 365 for Finance and Operations for Interflora, the leading flower distributor in the UK and Ireland. Itho Daalderop, a Dutch manufacturer of indoor climate systems, has chosen to equip its production line with Industrial IoT services provided by innius. This industrial software platform supports the digital transformation with real-time, smart data and apps.